The initiative, entitled Elevation Frontiers, will bring Manitou together with select universities to develop innovative business solutions that will also fundamentally advance the UN Sustainable Development Goals. Manitou Group, a signatory of the United Nations Global Compact, has announced an initiative through its North American subsidiary to promote the Sustainable Development Goals of the United Nations (UN). The initiative, entitled Elevation Frontiers, will bring Manitou together with select universities to develop innovative business solutions that will also fundamentally advance the UN Sustainable Development Goals. Manitou Group will work closely with its UN partners to prioritize the Sustainable Goals as the research projects are identified and defined. "We are very excited for our North American subsidiary to have this opportunity to support the United Nations in a way that aligns our business and sustainability goals with the UN Sustainable Development Goals," said Mr. Michel Denis, CEO of Manitou Group. "This will allow us to do our part in securing a sustainable future by strengthening the economy, building healthy communities, and reducing our environmental impact, as I am deeply engaged in order that Manitou becomes a global leader in our industry with a local commitment to our communities." Mr. Rick Alton, president of the CEP Division at the US-based Manitou Equipment America said, "When this innovative concept was first presented to me, I immediately envisioned the infinite possibilities to develop creative solutions for some of our most difficult business challenges, and then execute those solutions to advance sustainable goals." 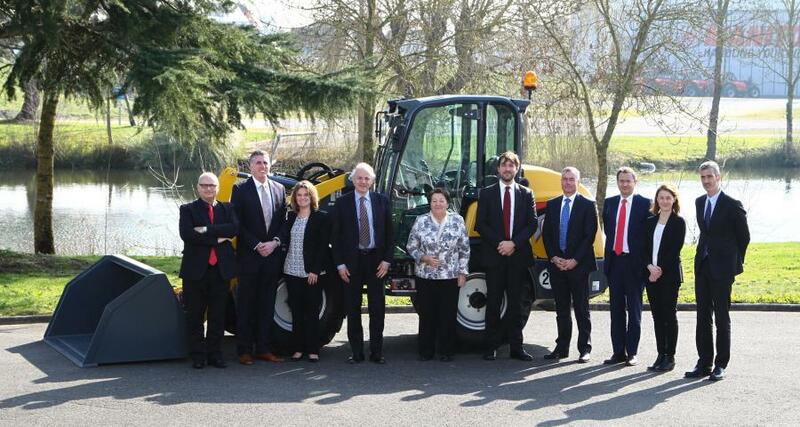 As a member of the Business Council for the United Nations, as well as a supporting partner of PRME, Manitou Equipment America is well positioned to advocate for change, according to Mr. Alton. "This will all serve to enhance the careers of our employees, improve the lives of those within our communities, and establish responsible business practices as we prepare for future growth. This truly unique partnership approach may soon become the standard as we look to expand the initiative to include other private industry leaders as well," he said.